Hello! 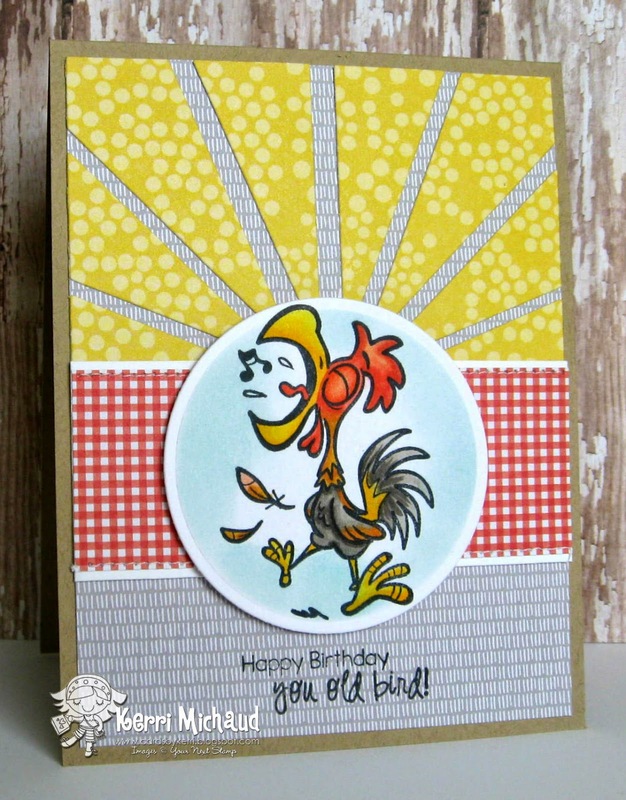 Today on the Your Next Stamp Blog you can find lots of inspirational projects from the DT using older YNS Stamps and Dies:) For my card today I used Squawk the Rooster. He just cracks me up and so does this sentiment! The dp is some various scraps I had laying around and the layout is the Deconstructed Sketch #147. If you leave a comment on the YNS Blog, you could win a Stamp Set of Choice! Also, Karen is offering 25% off your purchase at the Your Next Stamp Store through today, so make sure you take advantage of this special discount!